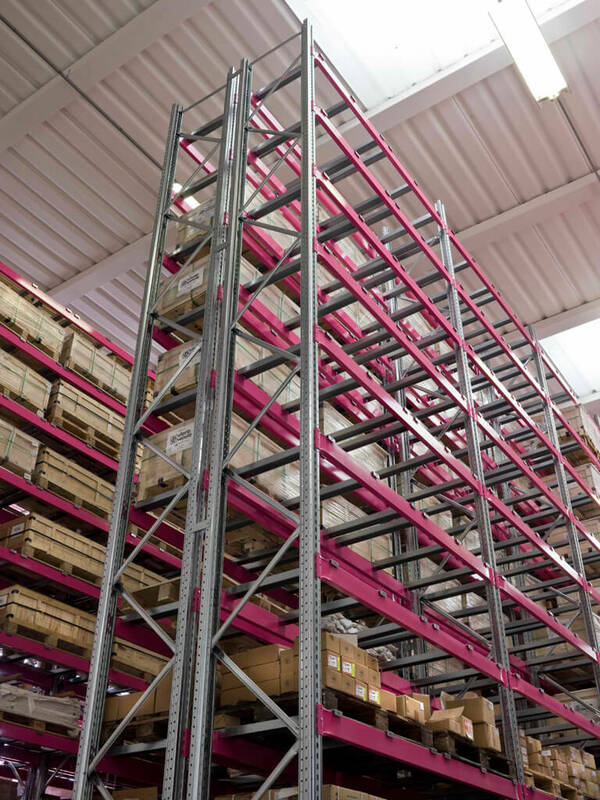 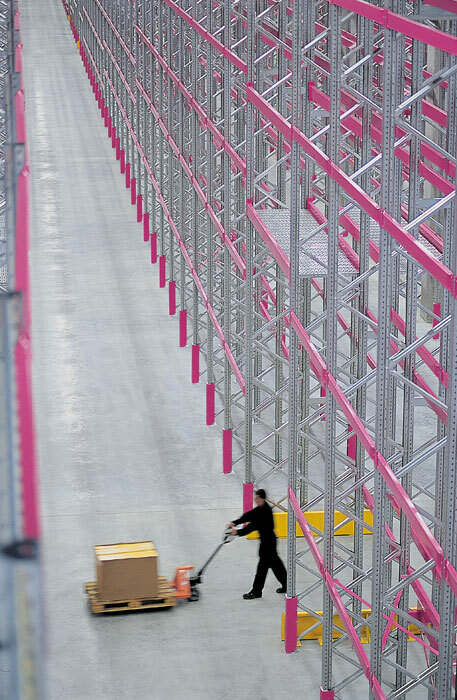 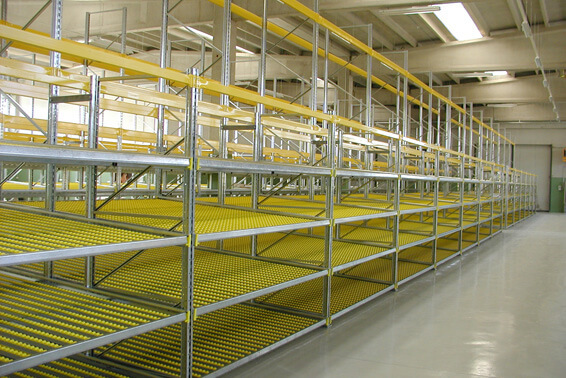 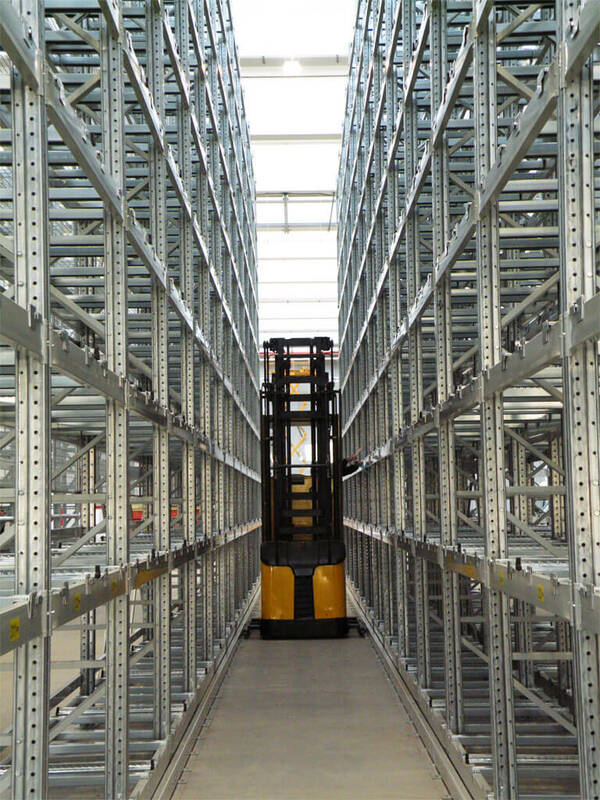 The pallet racks with side frames with a load capacity up to 30,000 kg and with beams with flow range up to 4,500 kg per pair. 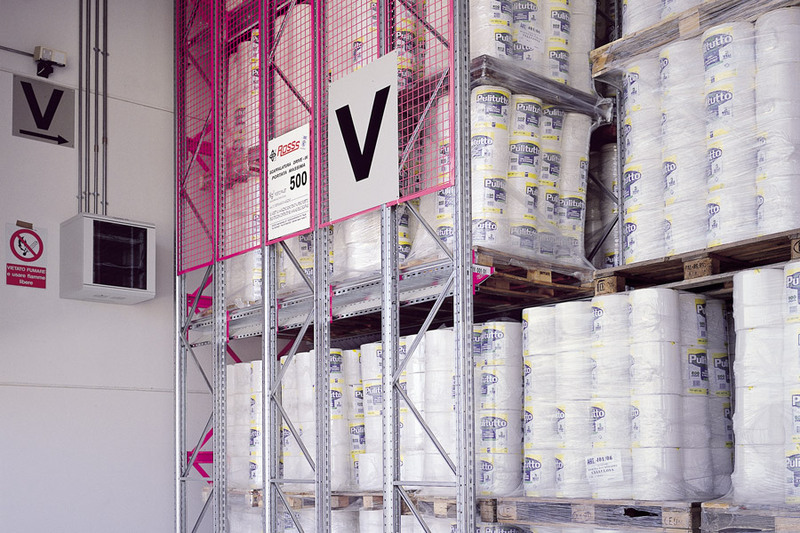 Different needs, a solution. 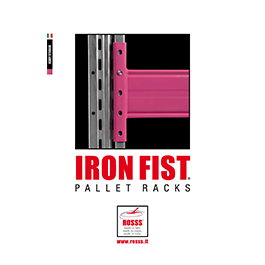 Iron Fist represents the new generation of pallet racks. 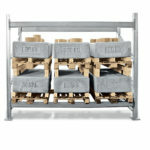 The IRON FIST pallet rack is obtained by assembling only two basic elements, frames and beams, by simple interlocking and without resorting to bolts, joints or other components. 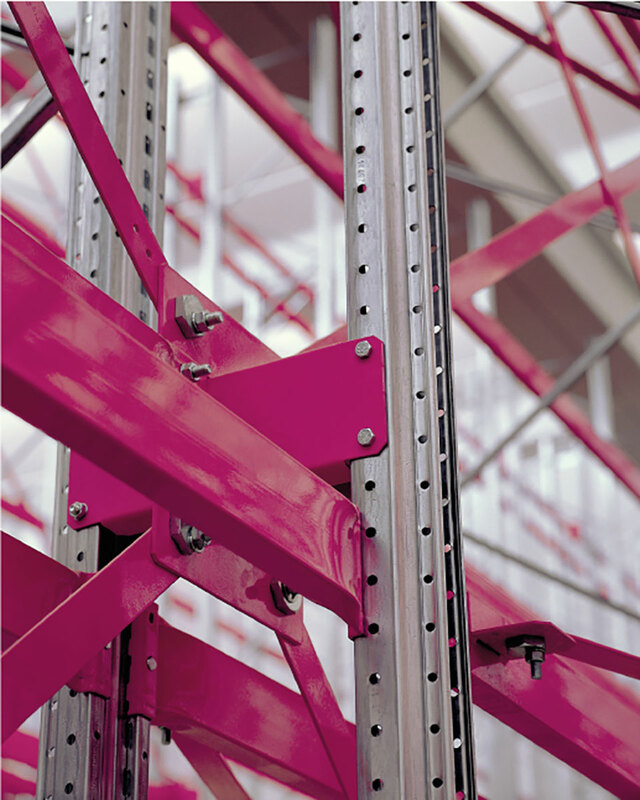 The frames are the vertical elements of the structure and are formed by uprights, diagonals and cross bars; the beams are the horizontal elements and constitute the support of the pallets. 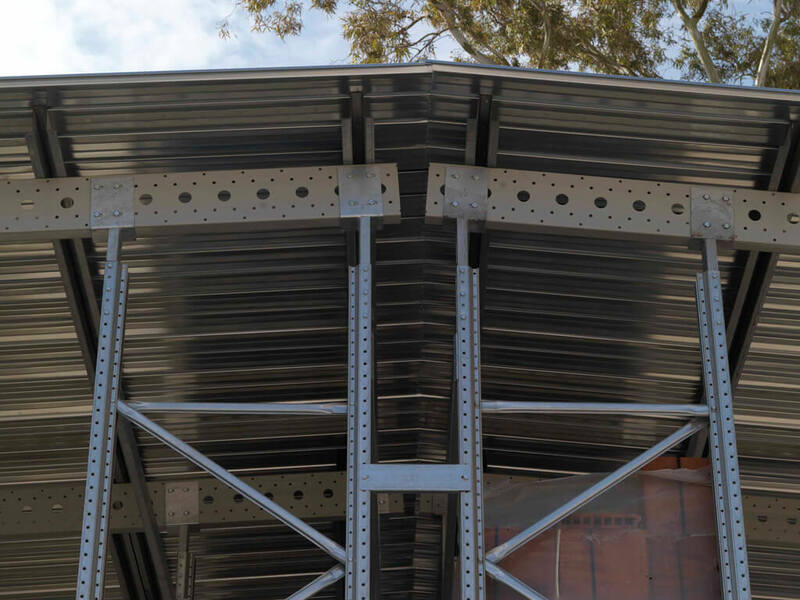 The new Iron Fist coupled beams are the result of a research project aimed at achieving the maximum capacity and highest quality and are produced with the latest technologies. The coupling between the two profiles allows to obtain double thickness in the points where the beam is more stressed and the exclusive tightening of the two profiles ensures the perfect collaboration between the coupled sides, thus avoiding sliding between the parts without the need for welding points along the whole axis of the same. 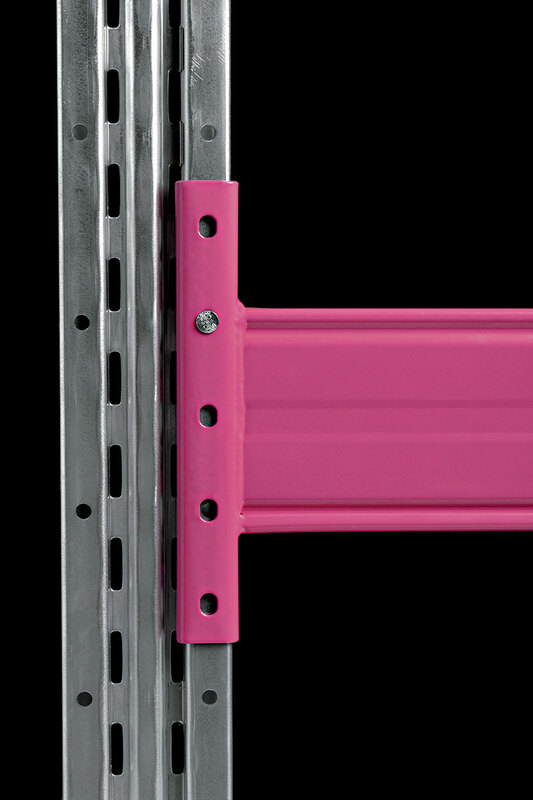 The new frame cross bracings allows a symmetrical distribution of the stresses on the uprights, leading to a greater resistance of the frame. 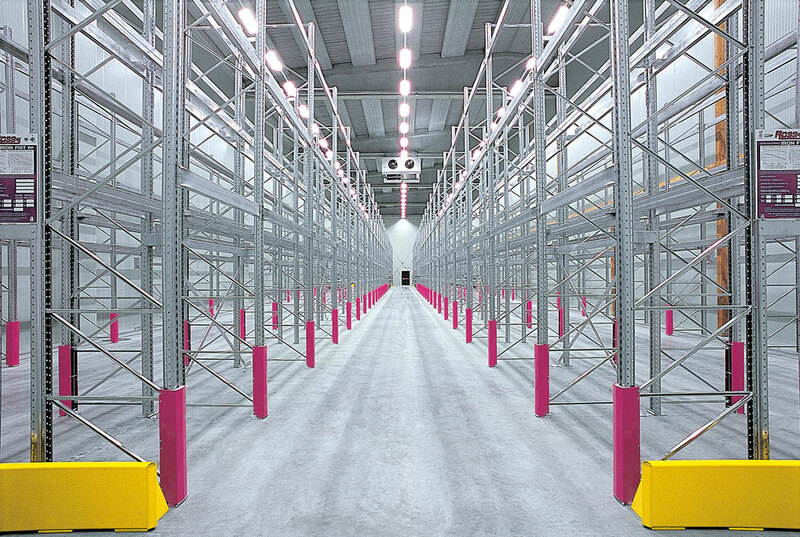 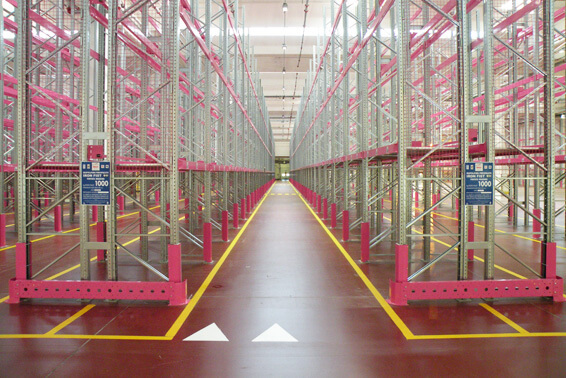 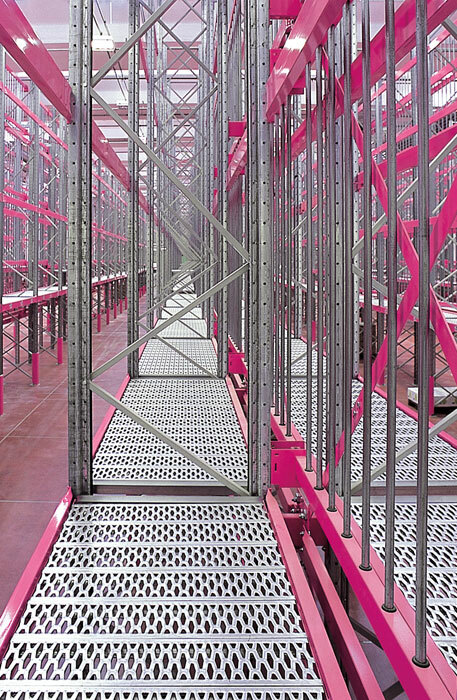 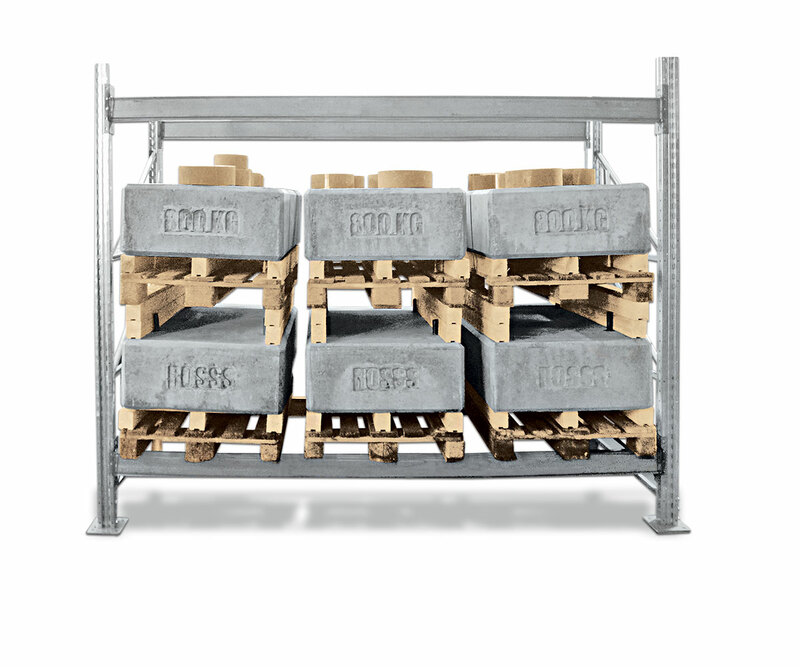 The uprights have been designed for all possible pallet loads and also to withstand seismic stresses. 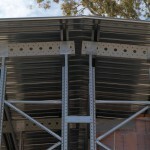 The improvement of the upright-beam connection allows an increase in rigidity and stability of the entire structure, thanks also to the high quality of the raw materials used and to the attention to detail. 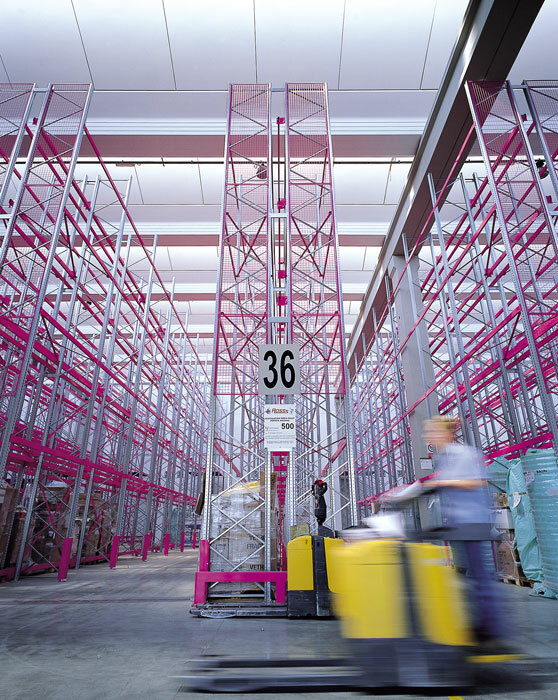 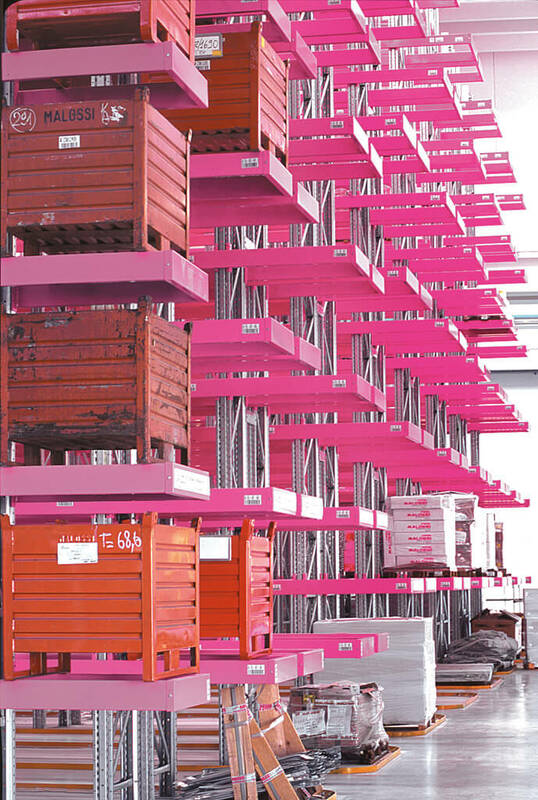 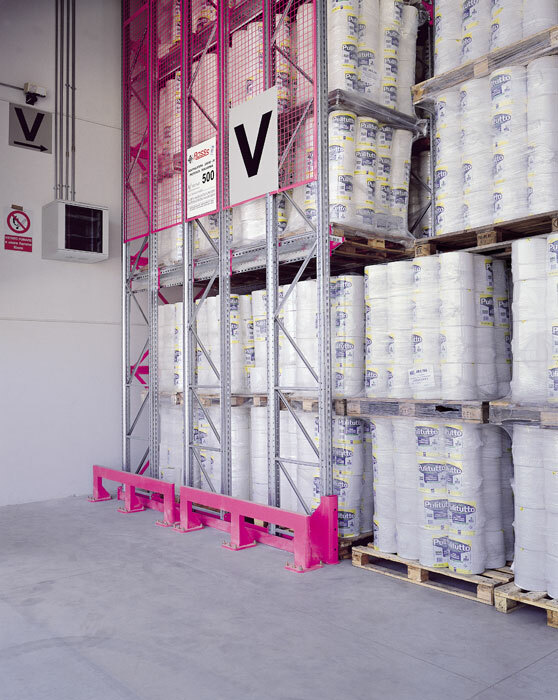 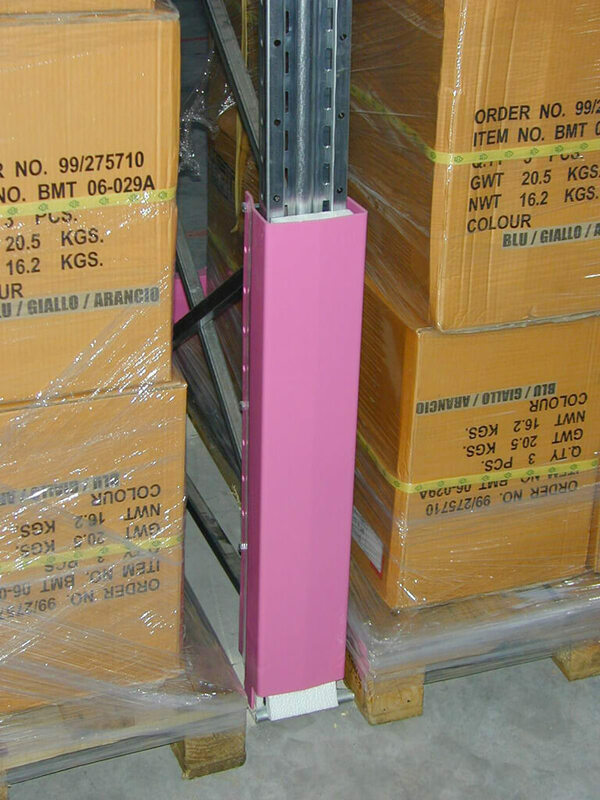 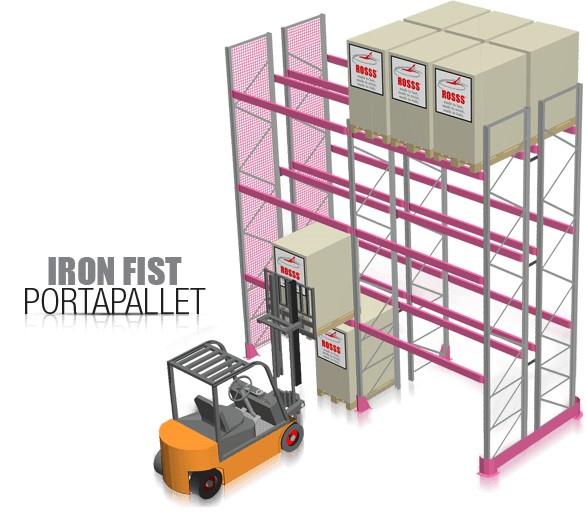 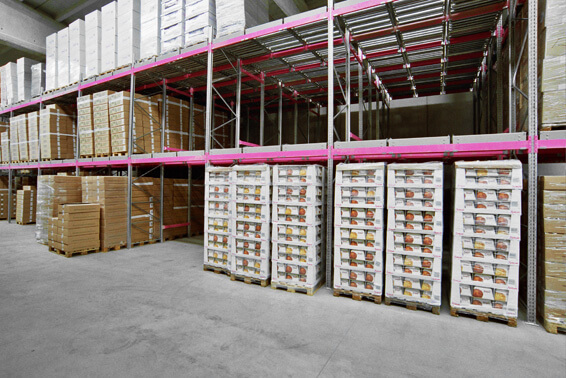 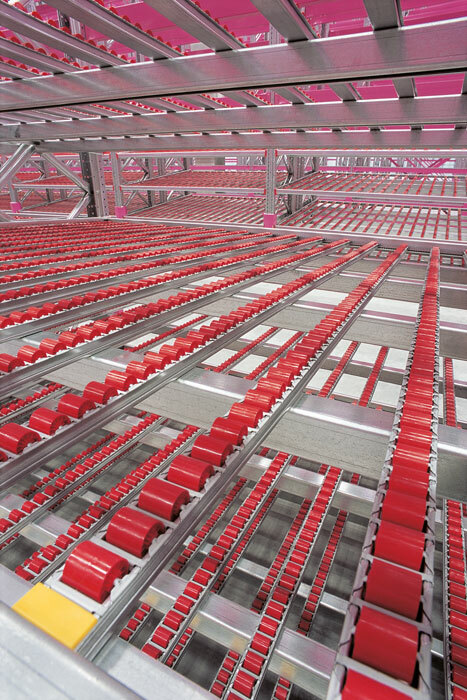 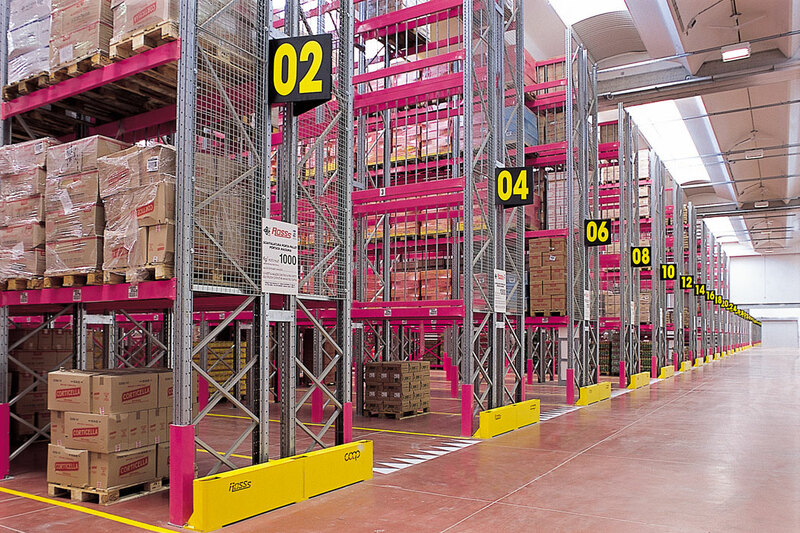 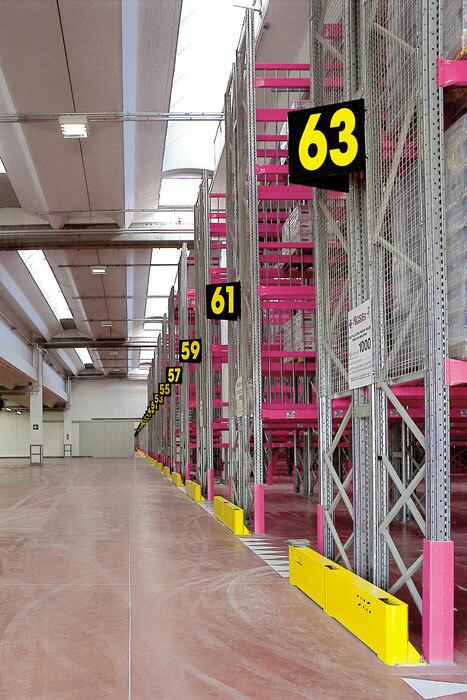 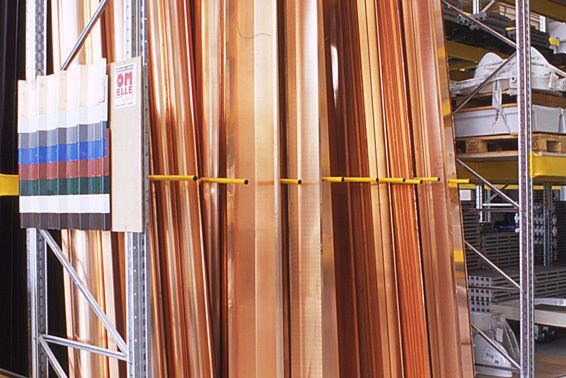 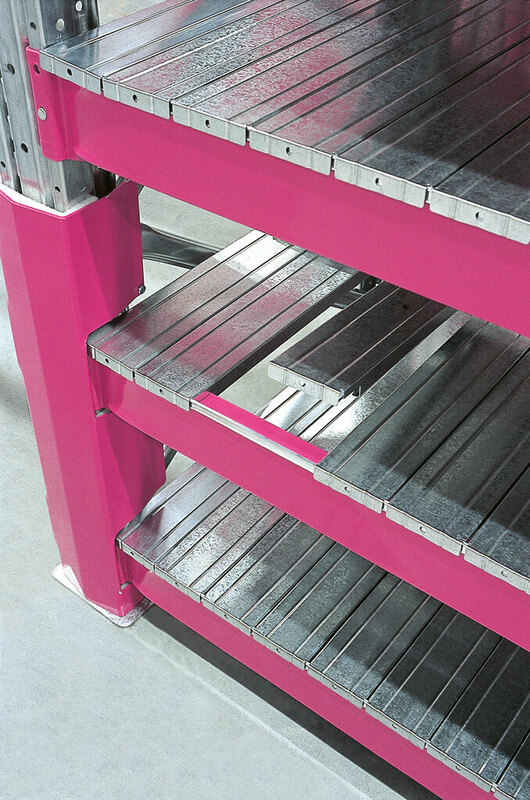 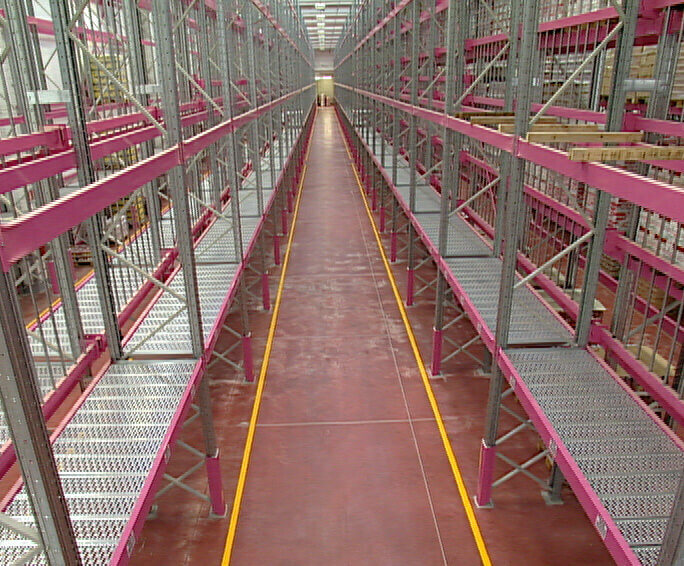 Discover the possible uses of Iron Fist: Pallet racks, carton flow, gravity, reel, rack. The connection between beam and upright is ensured by the exclusive “U” clutch with conic inclination of III° that increase beams and frames charge capacity. 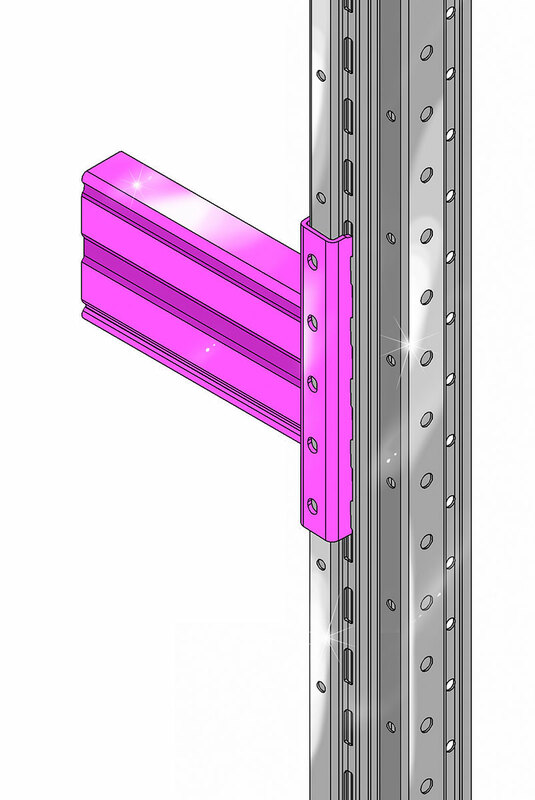 Safety and resistance are subsequently strengthened by the welded bracket that allows to vary the number of teeth to better improve the several charge capacities. 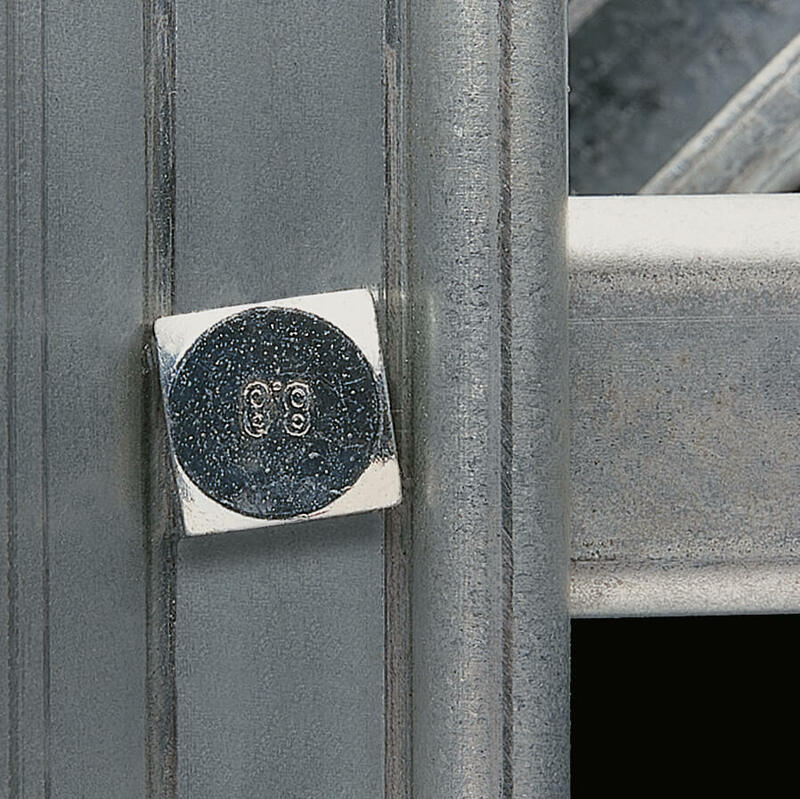 The no sliding static resistance, tested against oscillations, gives stability and seismic performances to the full structure. A small detail that makes a difference: it eliminates the co-existence of empty carvings that might weaken the upright capacity, it harmonizes the steel consistence through the full element, it keeps the edges free from perforations so as to guarantee the highest charge and bumps resistance. 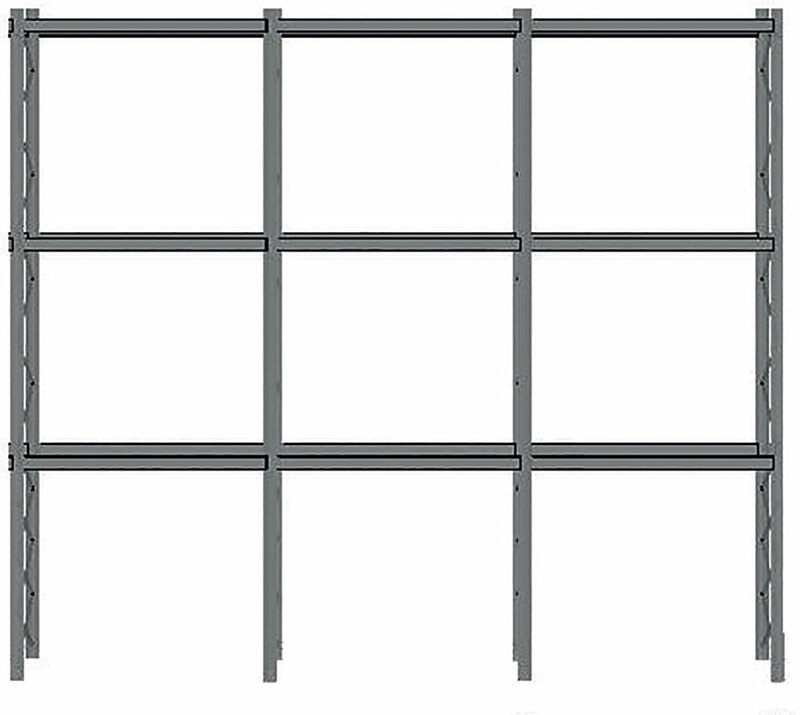 One of the best beam with the highest performance on the market: it withstands over the double load declared. 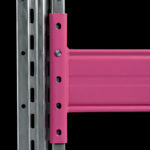 High reliability and safety in little more than one millimeter of thickness. 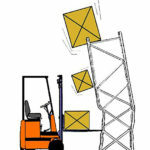 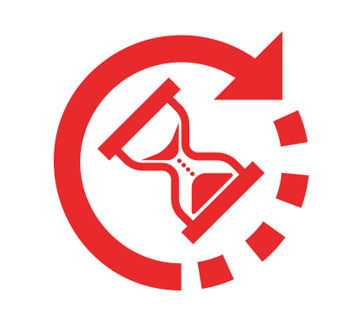 Increased dynamic resistance to shocks during handling of goods. 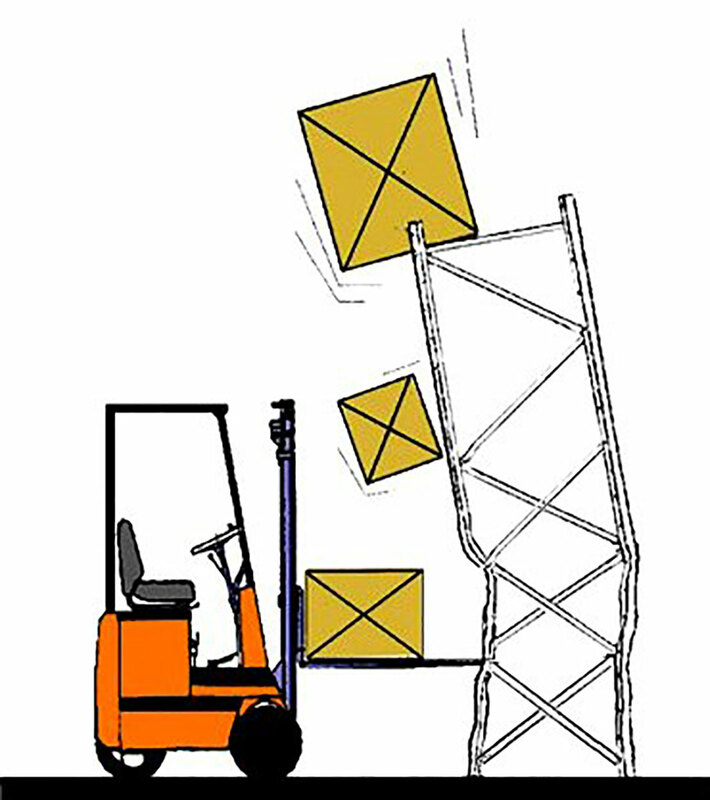 Maximum sturdiness: the upright special folds conformation involves a greater steel quantity in comparison to the actual productive standards. 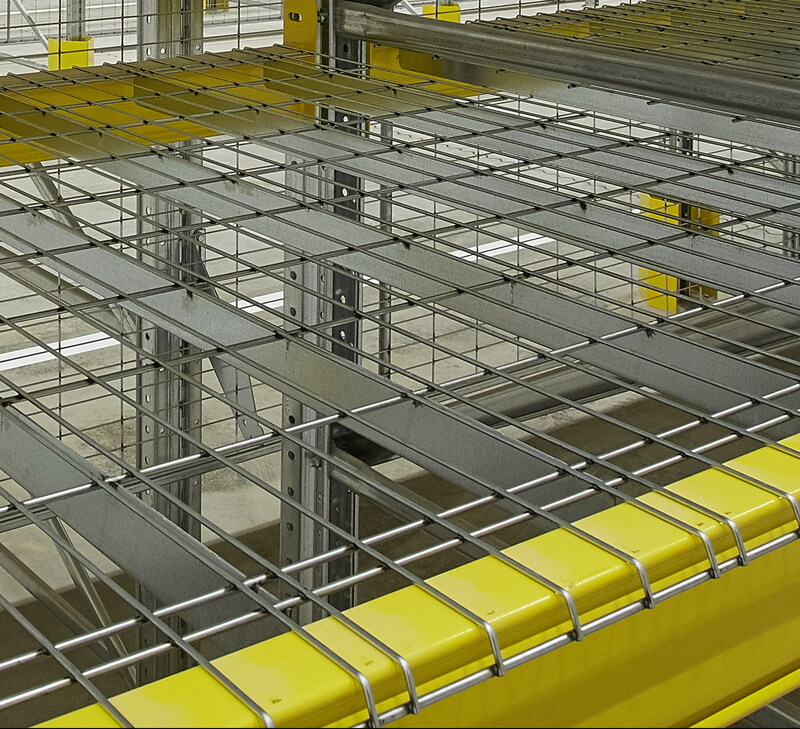 Better rating between charge capacity and price: high performances, great convenience. 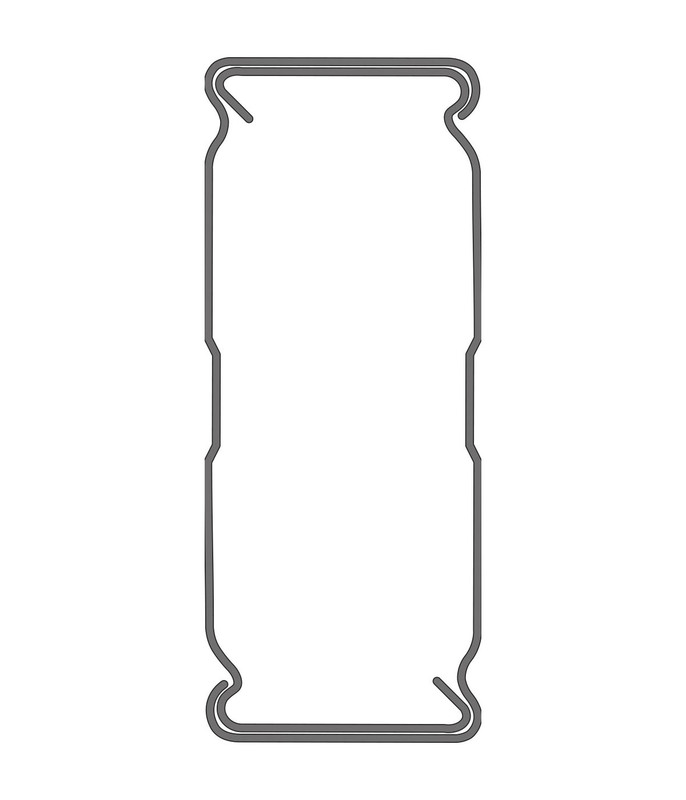 Absence of welding on the whole axle of the profile thanks to the special embossing of the external wing. 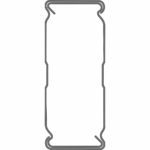 The joining and the tightening of the two profiles has been conceived so as to get a double thickness in the parts more under stress. 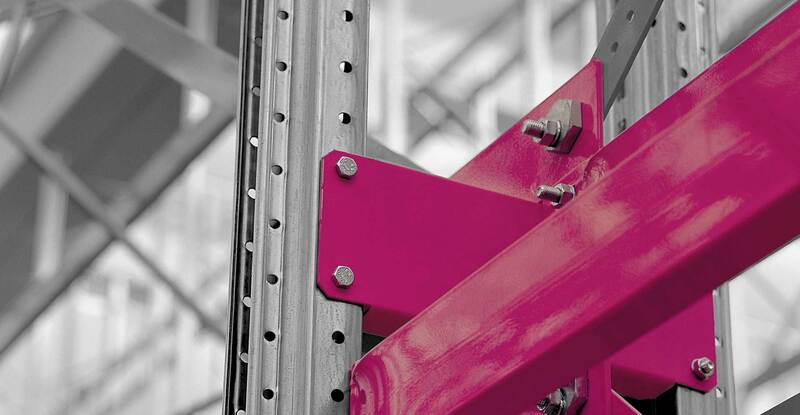 The uniformly strenght distribution on the uprights optimizes the frame load capacity in a significantly way. 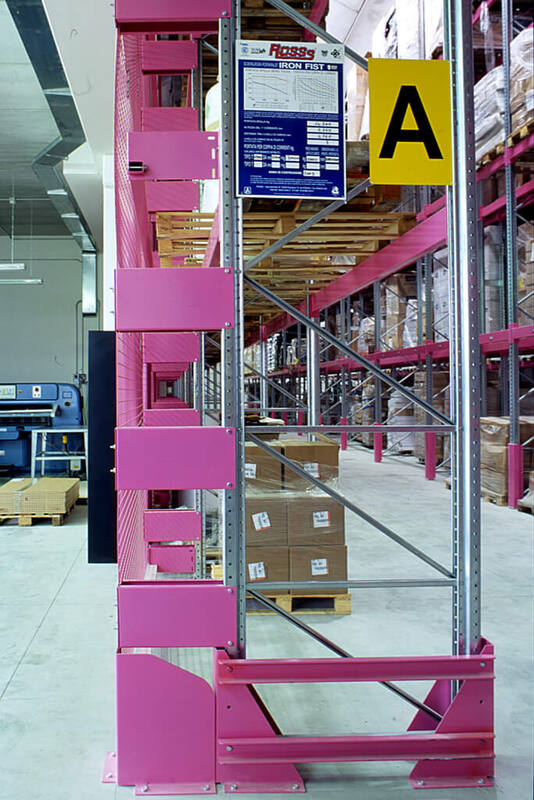 More liberty and versatility of use in the warehouse. 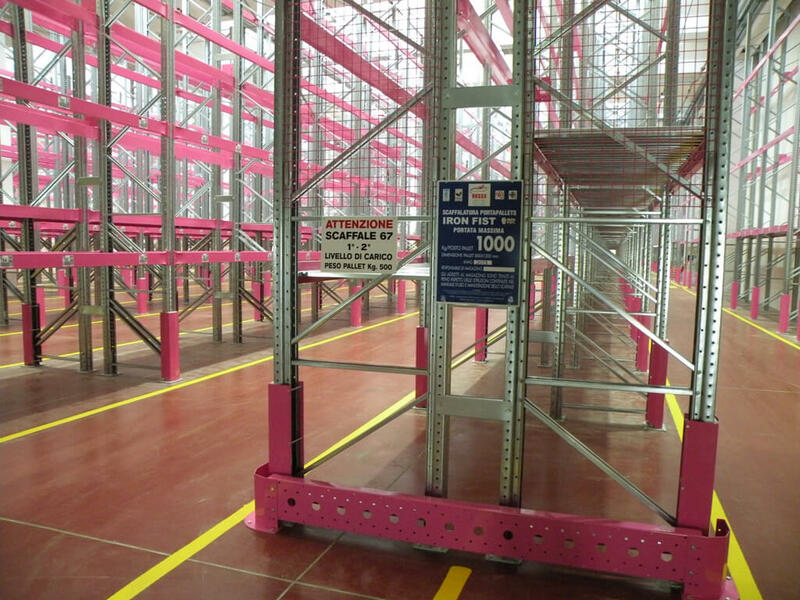 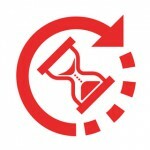 Remarkable increase of loading charge in seismic areas. 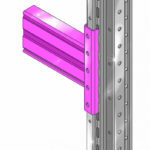 Reduction of the number of variants, thanks to the interchangeability of the beam against the measures of the upright. 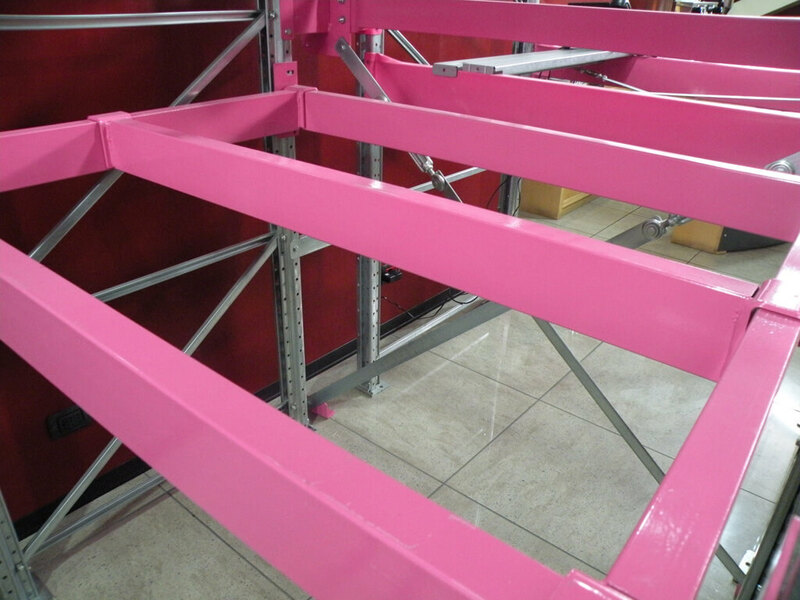 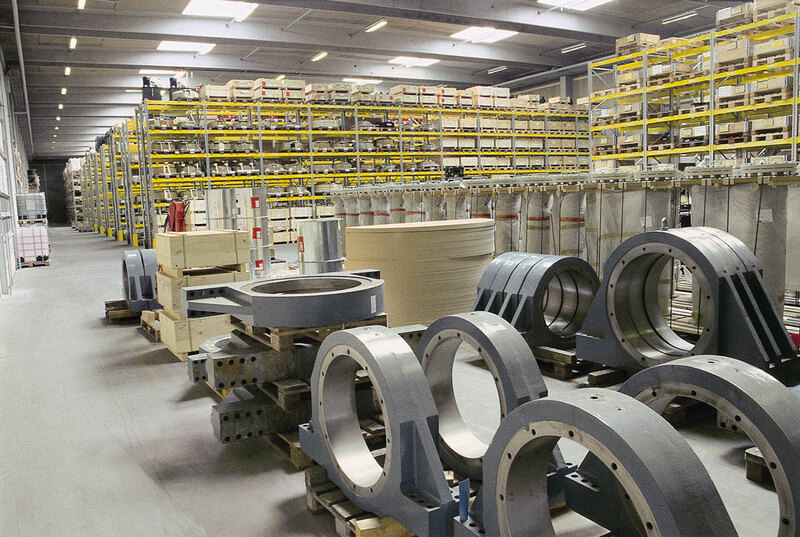 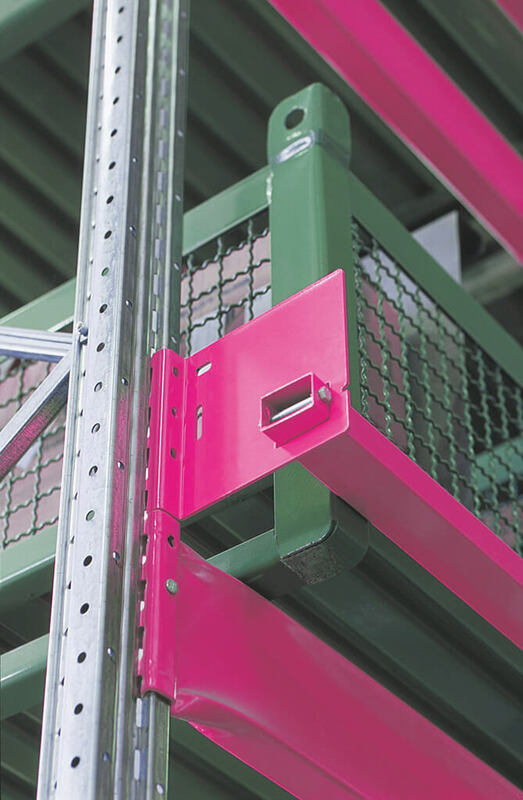 This implies reducing stock levels and therefore reducing costs, as well as the possibility for the customer to reuse the beams even in case of a change of uprights series. 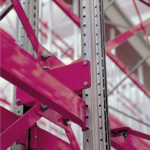 A wide range of frames and beams is available with prompt delivery. 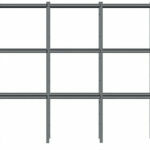 The steel used for making the beams is of a certified structural type S355 MC, with a minimum unit yield strength of 355 N/mm2. 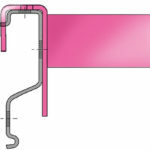 The product is obtained by coils through profiling and then seaming. 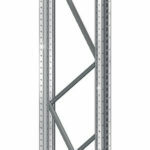 The steel used for making the uprights is o a certified structural type S350 GD, with a minimum unit yield strength of 350 N/mm2. 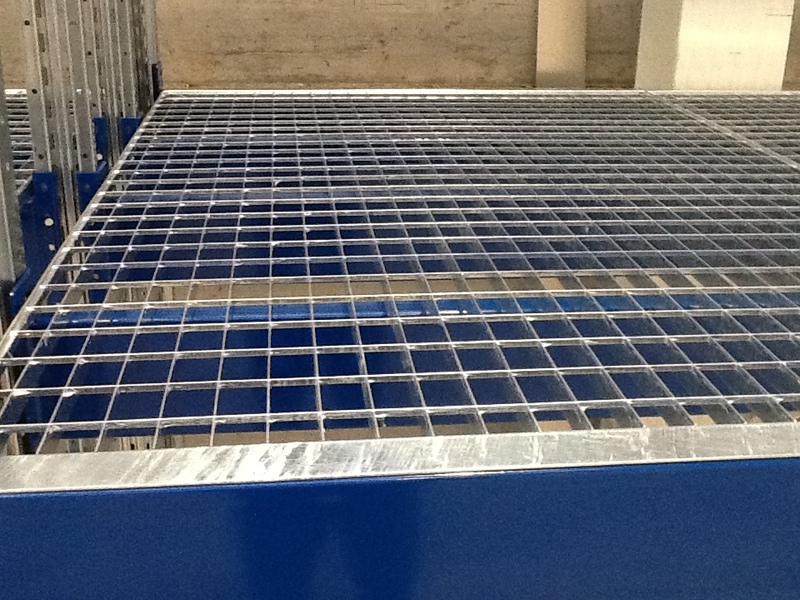 The product is obtained by galvanized coils through pressing and cold roll forming process.